An often overlooked but impactful way of updating and/or modernizing some homes without a complete remodel is to replace the stair railing. 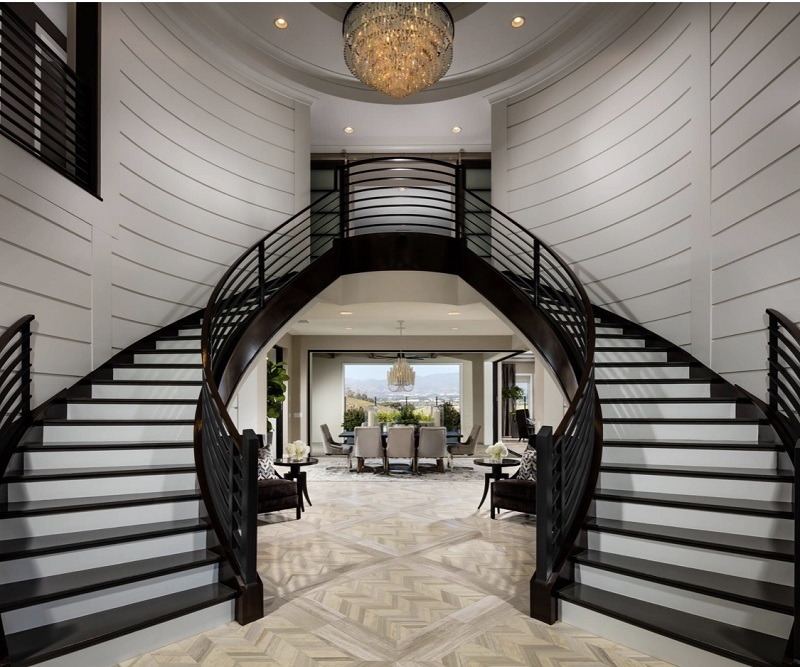 In multi-level homes, the stair case is frequently a focal point of the main living area of the home and/or the entry way. A new stair railing can liven up an outdated or stale staircase. 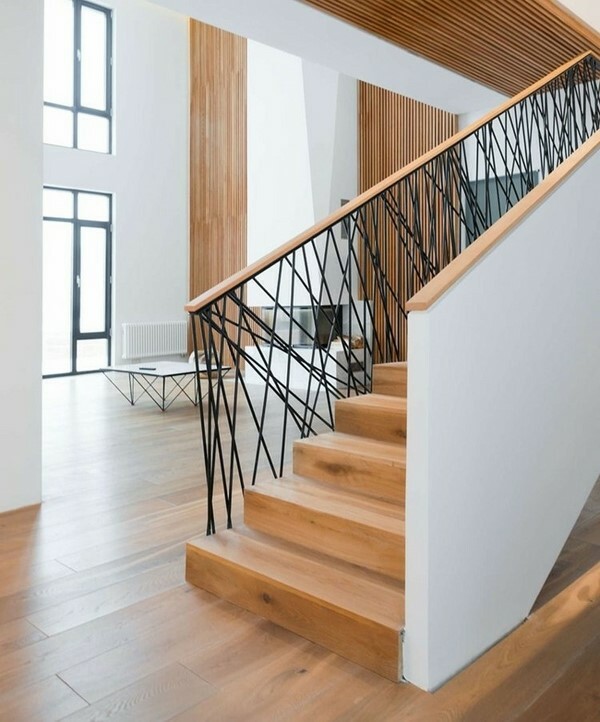 An exciting trend in stair railings is the use of geometric railings, often comprised of metal or wood. These can really stand out as a design feature drawing attention to an otherwise ignorable stair case. Its a great way to spruce up a traditional or modern staircase is by bringing in a new material for the balusters. Adding iron or steel to the railing can change the entire look and character of your stairs. Some of the more popular stair railings contain glass, with may or may not be topped with a railing. A wood railing topper can tie wooden stairs into the glass rail design. 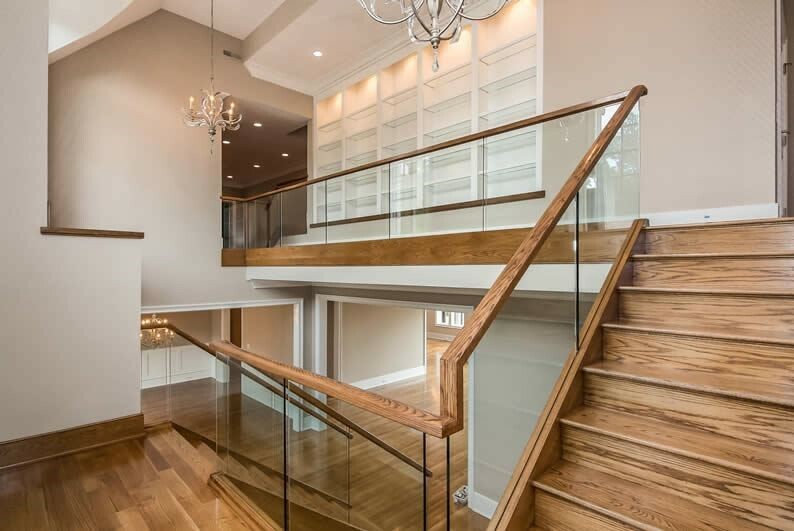 Glass railings without a cap work well in smaller spaces where the illusion of a smaller stair case appears to improve the use of space. 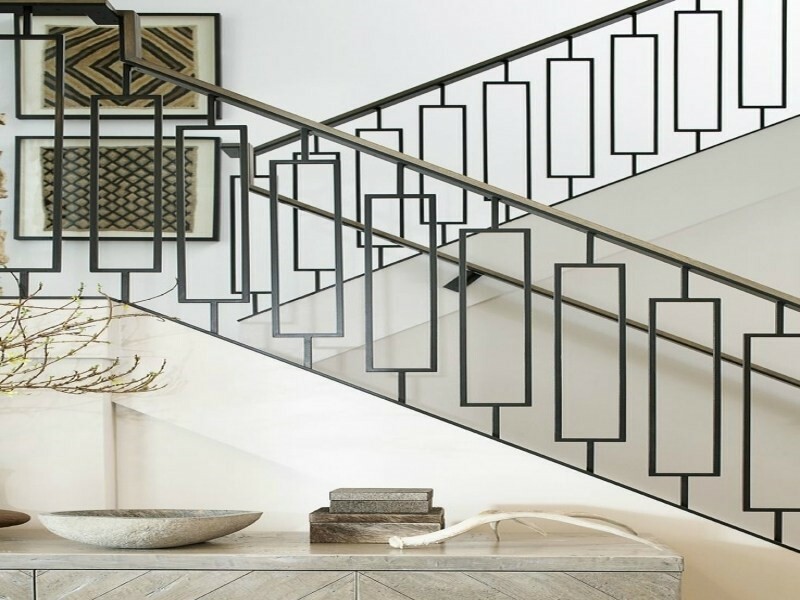 Another stair railing trend draws its inspiration from nature. The implementations range from a modest representation to highly eclectic replications of portions of the natural world. I admire ALL of these creative staircases. A staircase is both enticing and mysterious (who knows what lies upstairs?). It’s also a space with endless possibilities for creating stunning design moments. 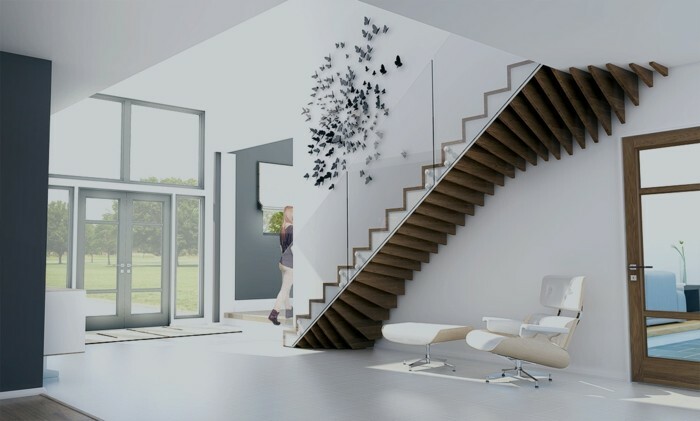 Make the most of your staircase to the next level.